Other Info: Also known as "Mega Panel". 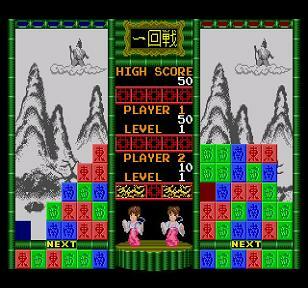 Sometime near Columns and after several other puzzle games, Namco decided to take action and make their own little puzzle game on the Sega Mega Drive...So in 1990, they create a game called MegaPanel. 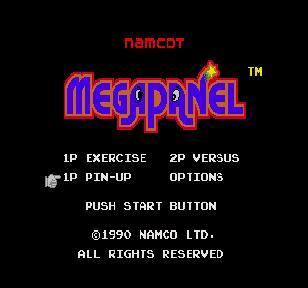 MegaPanel is a very simple game and not too much can be said about it. 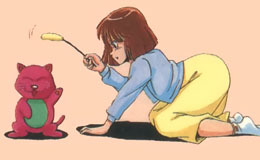 The game has no real plot (like many action puzzle games of the time as well as today) and little to no dialogue. 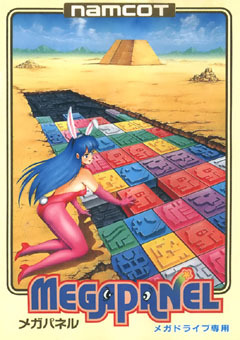 Still, since the Mega Drive didn't have many puzzle games before 1990, MegaPanel was welcomed into the homes of Mega Drive owners. The graphics of the game are very simple. 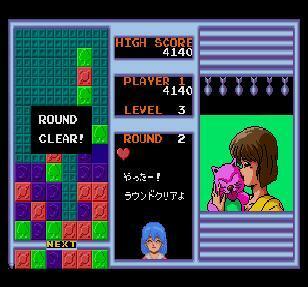 It doesn't do anything revolutionary, but for a puzzle game for that year, it was fair enough. In comparsion to Libble Rabble, one of Namco's other "old classics", MegaPanel is rather decent and easier on the eyes whereas Libble Rabble basically consisted of simple lines and ultra simple design choices (I'm not saying Libble Rabble is bad. I'll talk more about it in another review) There are a couple of neat pics, but that's about it. The music of the game is VERY simple. It fits the mood, but not much else. The music is fair, but you won't really notice it or acknowledge it much, though it is decent enough to listen to while you focus on the gameplay. 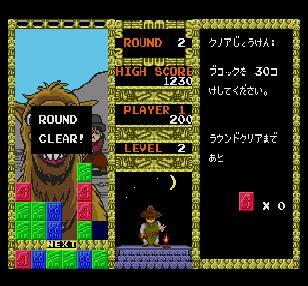 MegaPanel plays like this: You must shift blocks with the directional pad and match 3 or more in a row horizontally or vertically. There is a lot of brain work involved because if you focus too much on eliminating blocks on one side of the screen, you can get "stuck" over there and it's hard to eliminate the other blocks. You must move blocks one space at a time through an empty panel. Real simple, right? WRONG. The stack moves quick even in early levels. It becomes tough later on, but as long as you keep your cool, you'll be fine. 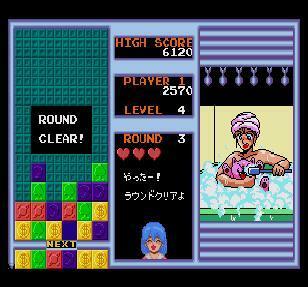 There are only a couple of modes, but the fun and addictive mode is the "Pin-Up" mode. As you eliminate blocks and create chains, you drop missiles on the right side of the screen to destroy blocks hiding a picture. Destroy all the blocks to reveal the image and clear the stage. You have "Exercise" mode where you complete objectives and versus to duke it out. It doesn't have much, but what it does have, it does it moderately well. 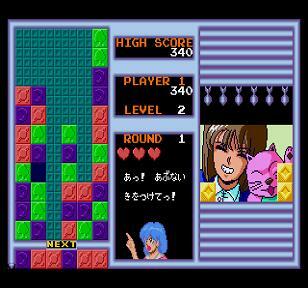 If you must play a different puzzle game besides Columns or Puyo Puyo, MegaPanel might be right up your alley.